Could Canadian Seniors Lead the Semi-Automated Vehicle Revolution? Ottawa, ON - June 28, 2018 A new study by the Traffic Injury Research Foundation (TIRF) suggests senior drivers in Canada could play a leadership role in the safe adoption of semi-automated vehicles as Canadian roadways transition from traditional vehicles to increasingly automated vehicles. The study, funded by the Toyota Canada Foundation, analyzed data regarding the knowledge, attitudes and practices of senior drivers collected from focus groups, as well as an online survey of 2,662 Canadians. The TIRF study was conducted to better understand the perceptions and attitudes of older drivers towards semi-automated vehicles, and to understand how their knowledge and beliefs about such vehicles can influence the likelihood they will rely on this technology to improve their safety on the road and increase their mobility. Results of the study showed that older drivers recognize the potential of semi-automated technology to increase their safety on the road and instill greater confidence in their ability to drive under challenging conditions that are typically avoided. They also recognize that this technology can enhance mobility among older drivers, helping them to safely prolong their driving years and mitigate errors associated with age-related factors such as perceptual, cognitive and physical declines that can degrade their ability to perform common driving maneuvers. The study concluded that this cohort of drivers is very receptive to strategies and tools that help them learn to use semi-automated vehicles in ways that maximize safety and mobility benefits. Canadians aged 65 years and older currently represent one in seven Canadians. In the next two decades, the population of seniors will grow to more than 10 million and will account for one in four Canadians. As one of the largest age cohorts, older adults will represent a significant segment of the driving population. Senior drivers are also among the safest drivers because of their accumulated years of driving experience and exposure to all types of road environments and conditions. Perhaps most importantly, what we learn from our seniors’ transition to increasingly automated vehicles will let us develop important educational tools to help the other population segments in their transition. An interesting dichotomy. An important challenge. Are we doing enough to enable them? If Canada’s largest population segment and safest drivers are a) most aware of the potential benefits of increasingly automated vehicles, b) most cognizant of the inherent risks and limitations, and c) most open to learning how to use the technology safely… what’s stopping us from putting them in the driver’s seat? The in-depth understanding of seniors’ attitudes and behaviours vis-à-vis semi-automated vehicles gained in the study will help develop education and training tailored to the needs and expectations of senior drivers. In developing this education and training, there are two important barriers that need to be considered. Seniors will face a steeper learning curve than the younger segments of the population: They have been driving for a longer period of time, mainly in vehicles that lack advanced driver assistance systems. They also learn differently: The study showed that Canadian seniors overwhelmingly prefer hands-on learning and formal classroom settings with opportunities to practice before getting behind the wheel. These two hurdles point to the need for educational strategies tailored to this demographic, as well as appropriate learning environments and resources. 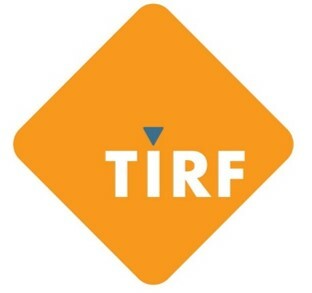 About TIRF. Established in 1964, TIRF’s mission is to reduce traffic-related deaths and injuries. As a national, independent, charitable road safety research institute, TIRF designs, promotes, and implements effective programs and policies, based on sound research. TIRF is a registered Canadian charity and depends on grants, contracts, and donations to provide services to the public. Visit us online at www.tirf.ca, Twitter and Facebook. About the Toyota Canada Foundation. The Toyota Canada Foundation is a private charitable foundation focused on supporting registered charitable organizations dedicated to STEM education outreach and teaching Canadians how to use the advanced safety technology in their vehicles.